So Brown’s team, as well as four other teams, re-analyzed the Nature paper and found lots of problems. 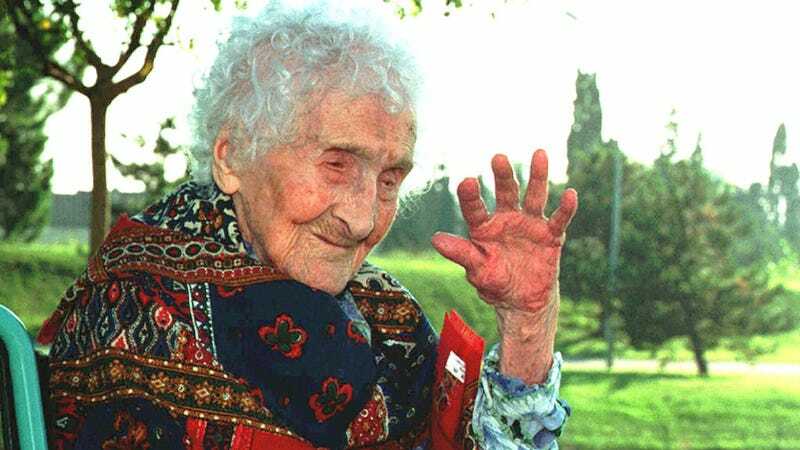 Brown’s own analysis found that the existence of the plateau at 115 years depends on the age and death date of the oldest person ever, France’s Jeanne Louise Calment, who lived to be 122. Others mentioned the increase in the number of people living past 100 will make it more likely to see more folks live past 115, or even 122. Still others found problems with the statistics and methods used to analyze such small sample sizes or argued that we don’t have enough data to be sure. One paper noted that breaking the data up into individual years that people died in is arbitrary, since years are an arbitrary division of time. Maybe the presence of a 25-year plateau is itself a statistical fluctuation. That we can probably agree with.